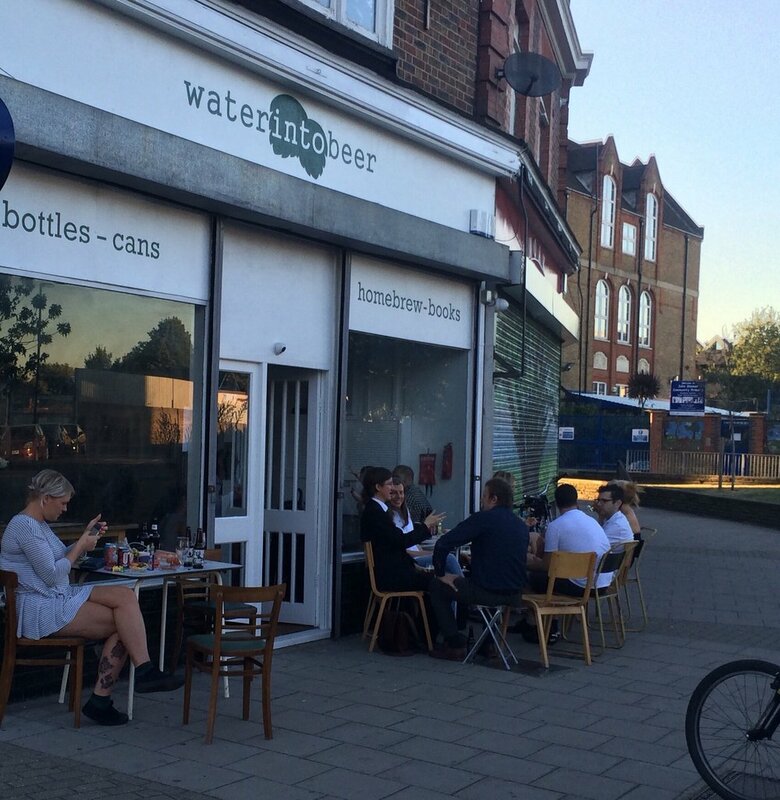 Waterintobeer is a beer shop boasting over 200 different bottles and cans, to drink in or takeaway, and a homebrew centre selling brewing kits and ingredients for everyone from beginners to experts. The shop – which includes a number of tables for drinking in – is the brain child of Tim Livesey, a local resident with a passion for brewing. Since opening at the end of August, the shop has already boosted its range of bottles and beers to well over 200, with everything from traditional ales to hot new goses among its ever-changing stock. On the homebrew side, there are currently 45 different hops, as well as 35 malts, in stock, and all the ingredients and equipment a homebrewer could need. Starter kits and mini breweries are also available, alongside a wide range of beer and homebrewing related books, by top writers including Pete Brown, Mark Dredge, Des De Moor, Jeff Evans and Roger Protz.